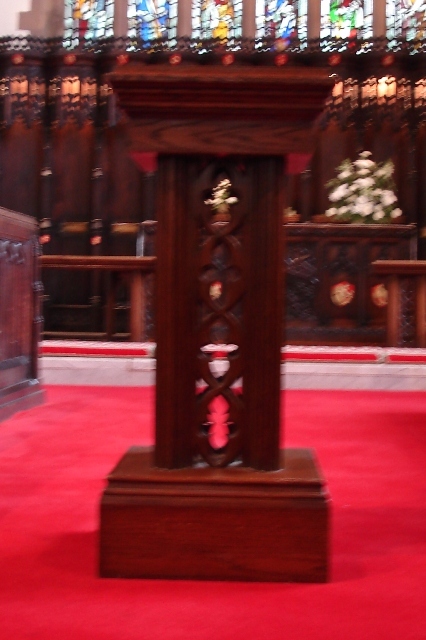 The portable Font has been carved from removed pew timbers by Simon Corbyn, the brother of a former curate. 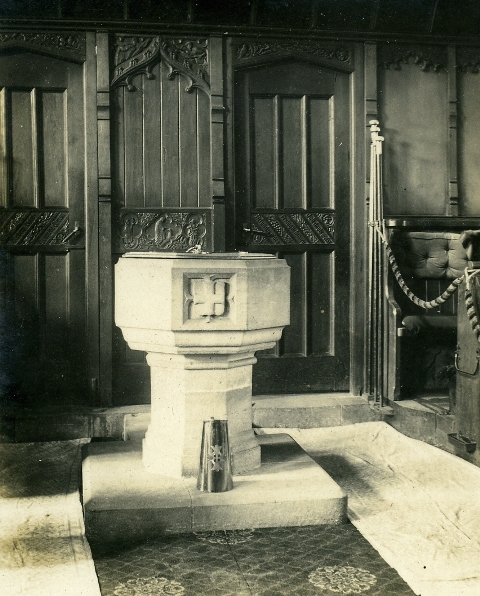 It is normally located in the Hulton Chapel and brought into the Chancel for Baptisms. 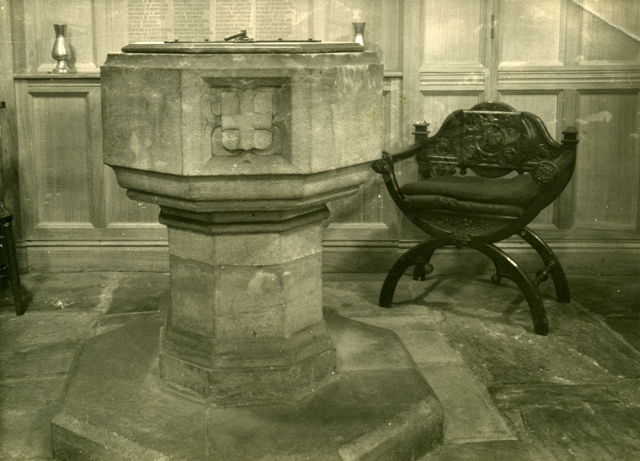 later moved to the Baptistry in 1950 and then securely stored when the new font was made. It was thought that the congregation wanted to be more involved with the Baptism service and the logical position was therefore at the front.